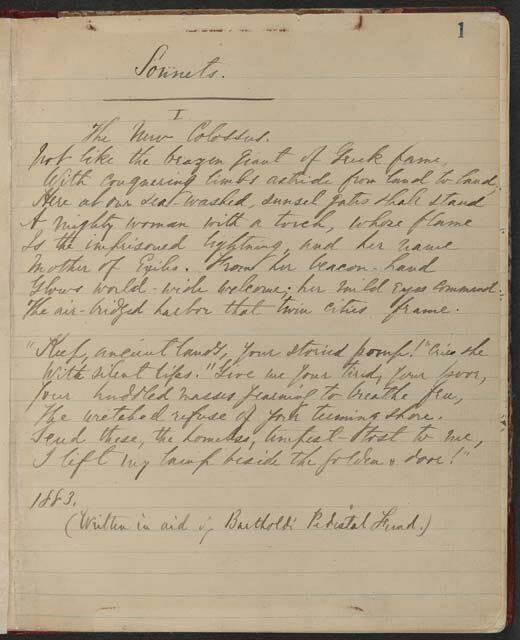 You can actually see the poem written in Emma Lazarus’s own handwriting at the Library of Congress website here. Isn’t that lovely? I posted it for Poetry Friday the week of the Fourth of July. Everyone knows the “Give me your tired . . .” part, but the entirety of the sonnet has so much more power to it, I think.